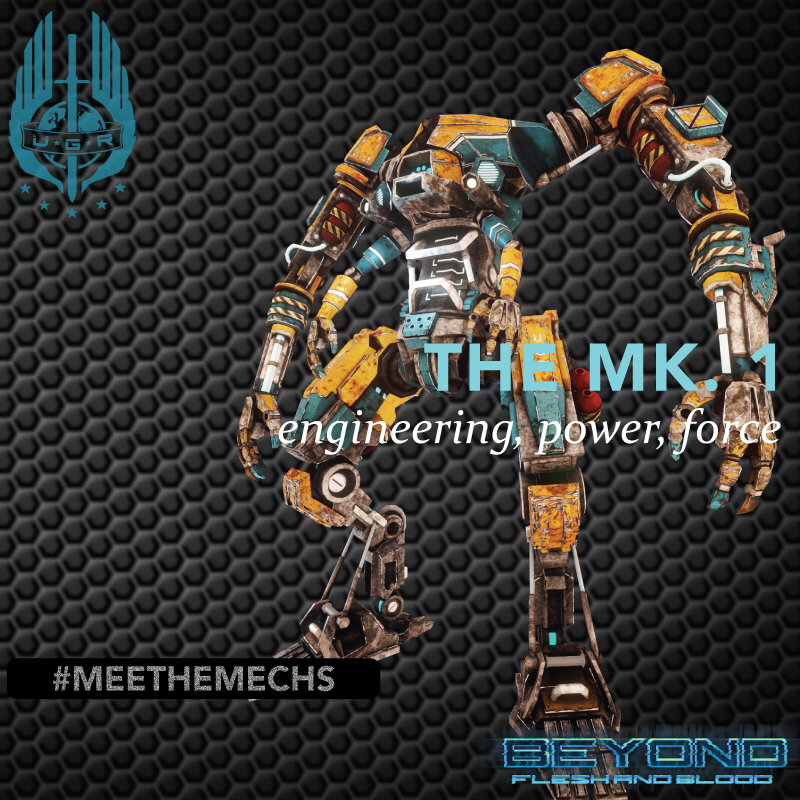 In this series of features for IndieDB, this is your opportunity to #MeetTheMechs from Beyond Flesh and Blood. In the first of the series, this is the MK. 1. Pixelbomb Games have designed the game for mechs to be central to gameplay in Beyond Flesh and Blood. They all come under the robot 'genus', if you will, as 'Tactical Frames' or TFs. These Tactical Frames are divided into two types: Combat Frames and Engineering Frames. The Mk.1 Engineering Frame was built for the ruined hostile Earth environment: it is the workhorse frame using its incredible power to lift, throw and propel huge objects, clear ground and remove obstructions with ease. This powerhouse is designed to move and bulldoze industrial material, so anything of the fleshy variety should keep out of its way! *Information: Rudimentary system that picks out enemy targets but does not paint / outline them. *Information: The Booster jets allow for advanced aided movement.